Lola Milholland of Edible Portland and Ecotrust and her mother Theresa Marquez of Organic Valley recently spoke with legendary farmer, author, and eloquent octogenarian Wendell Berry at the Organic Valley annual meeting in April. He shares his thoughts on the value of intangibles and recollects sweet childhood memories. Read more about Berry’s time at the annual meeting. 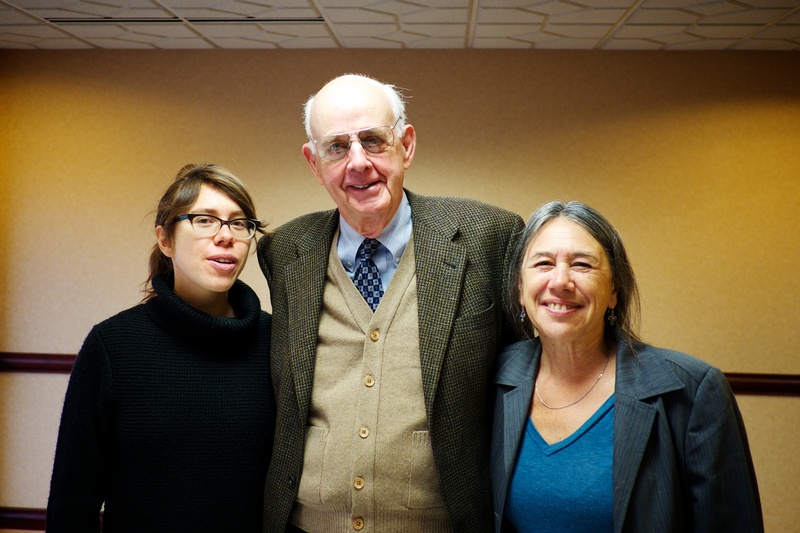 Lola Milholland, Wendell Berry, and Theresa Marquez in La Crosse, Wisconsin. Photo by Richard Bock. This episode is brought to you by Willamette Week, Organic Valley, and White River Lamb Company.